This breed is also available in Australia under the name Africander. Bred from the same base, taken to Australia. This breed has adapted well to the change in climate. A breed, native to South Africa with deep roots in its history books. 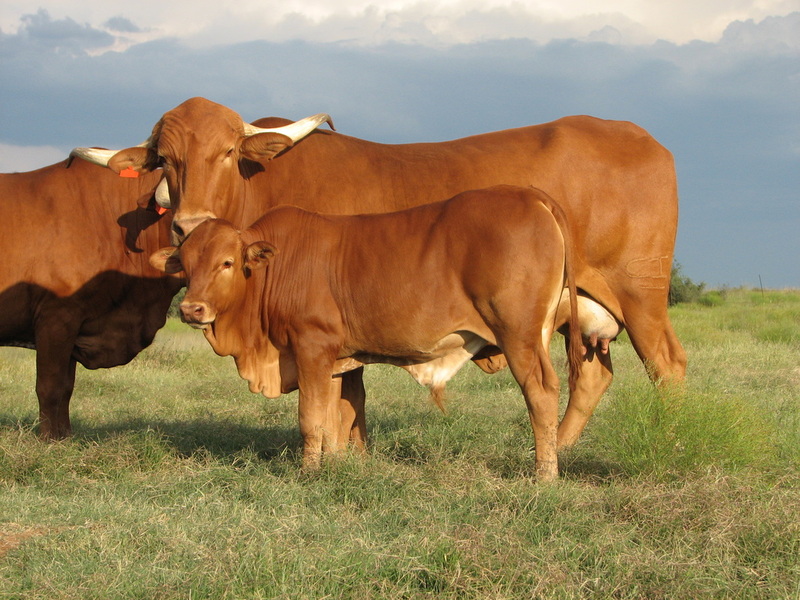 Afrikaner cattle are selected for functional traits, a process which has given rise to good functional animals. Animal scientists are propagating the idea that the cattle industry should be divided into father and mother lines. The industry thus requires a mother line with a small to medium frame that can be mated to a large-framed bull to produce a heavy weaner. The history of Afrikaner cattle in South Africa is an interesting one and is closely associated with the history of the country’s people. 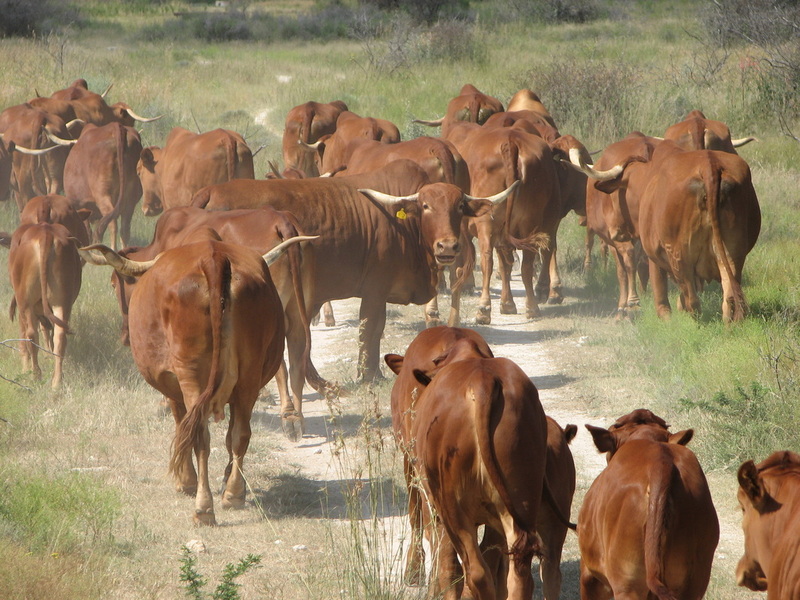 These typical Bos indicus animals, the most important of our indigenous breeds, were the first cattle encountered by Jan van Riebeeck shortly after he had arrived at the Cape. Little is known about the origins of the breed. The most likely theory is that, in its most primitive state, it originated on the steppes of Asia from the wild cattle of that time. Since then, it had descended from the lateral-horned Zebu without any infusion of foreign blood. South African cattle farmers began to appreciate the Afrikaner’s outstanding qualities only in about 1912. Then, largely due to the efforts of Alex Holm, Director of the Potchefstroom College of Agriculture and a champion of the breed, a studbook was formed so that planned breeding could take place for controlling the breed’s development into the Afrikaner we know today. Not many people are aware that, some years earlier, the breed was almost exterminated when huge numbers died of rinderpest or were destroyed during the South African War. As a direct result, various exotic breeds were imported, mainly from Britain and Europe, to build up the country’s depleted cattle numbers. The Afrikaner does not have the compact, block-like conformation of many of the British beef breeds. It has longer legs, yet good depth, and a muscular back, loins, rump and thigh, but a fairly shallow body. It seems almost a pity the characteristic long, wide and elegantly turned horns have had to be polled in so many commercials and even purebred herds. 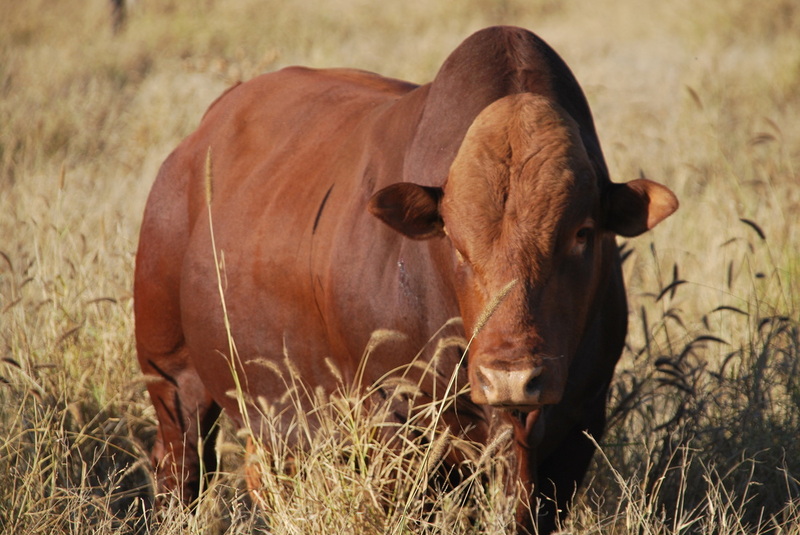 A mature Afrikaner bull weighs 820–1 090 kg and a cow 450–600 kg. Steers reared on the veld with only a phosphorus lick and salt and slaughtered at the age of 27–30 months on average yield a carcass of 250 kg. The Khoikhoi and the Boers used the Afrikaners for meat and milk and the Boers improved them to use as draft animals. It was Afrikaner oxen which drew the wagons that carried the Voortrekkers on the Great Trek. Afrikaners have been bred into other lines used in the tropics because of their fertility, docility, heat and disease resistance, adaptability as well as greater weight gain potential. In a crossbreeding programme the Afrikaner improves the quality of the meat of the breed with which it is crossed, especially with regard to tenderness (De Bruyn, ADSRI, Irene). Perhaps one of the most important characteristics of the Afrikaner is its suitability for cross-breeding with exotic beef breeds. 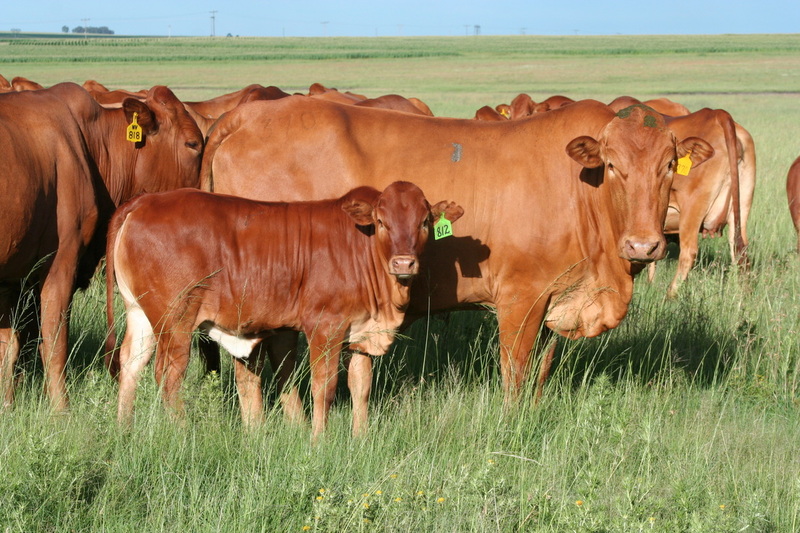 The value of purebred Afrikaner sires in commercial herds, when mated to grade cows of mixed parentage has been repeatedly shown in the good development and excellent prices realised by progeny. Another outstanding characteristic is the Afrikaner’s resistance to most of the country’s endemic, such as redwater, hartwater and gallsickness. When bred in an area in which these diseases prevail, young Afrikaner cattle acquire immunity through their dam’s milk. 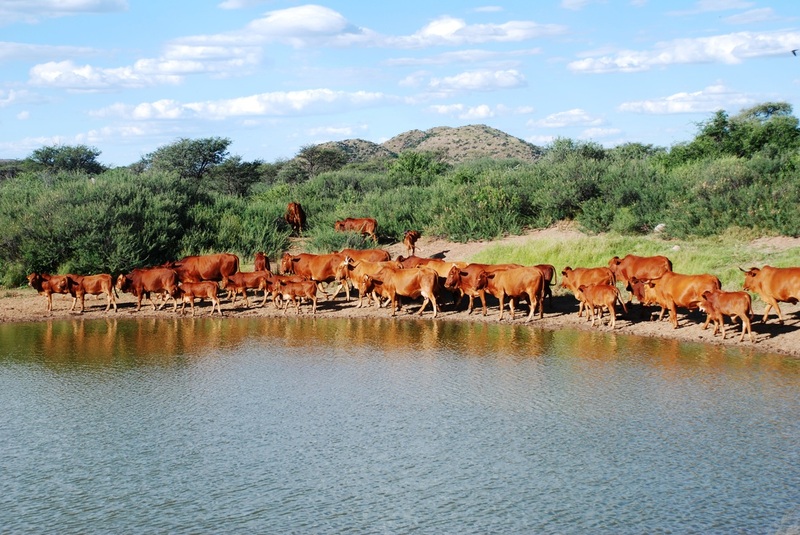 The cattle are well adapted to veld conditions in the warm, arid and extensive grazing areas of the country. This exceptional characteristic is attributed to the ample area of its thick hide, which has twice as many sweat pores as those of cattle bred in Europe. The short, strong, shiny hair also discourages tick attacks. The breed thrives in extreme heat. The cow has excellent mothering abilities. Few if any calving problems. The Afrikaner is also remarkable for its longevity and it’s not unusual that at least 10% of the cows in a stud herd are 16 years & older. The oval-shaped conformation and slightly sickle hocks of the Afrikaner enable it to walk long distances without effort. Farmers have reported it can cover up to 40 km a day, even in rough or sandy country. 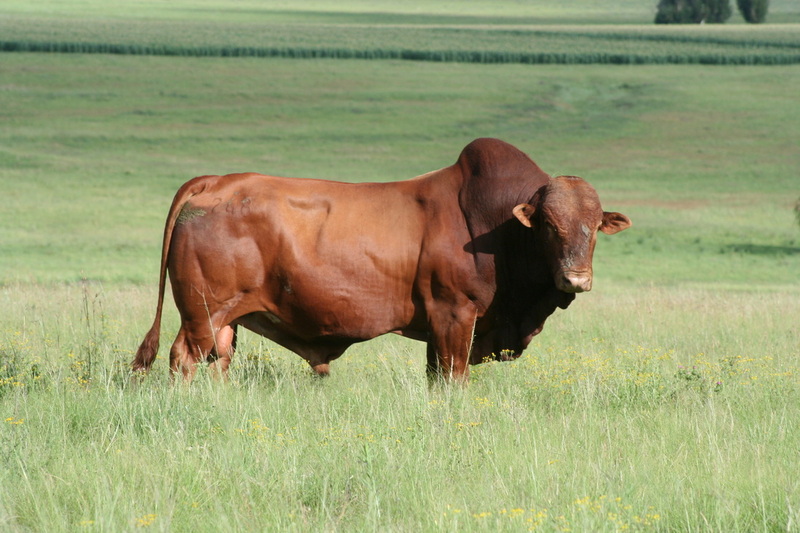 The Afrikaner is one of the beef breeds that can be finished for marketing in the shortest time. It is practically the only breed that can be finished off the veld within the most desirable age and its carcass mass ranges to produce the ideal carcass. The beef is tender and juicy and carcass in demand by consumers. Its meat is of high quality and tender, tasty and succulent, and in a crossbreeding programme the Afrikaner improves the quality of the meat of the breed with which it is crossed, especially with regard to tenderness (De Bruyn, ADSRI, Irene). Perhaps one of the most important characteristics of the Afrikaner is its suitability for cross-breeding with exotic beef breeds. 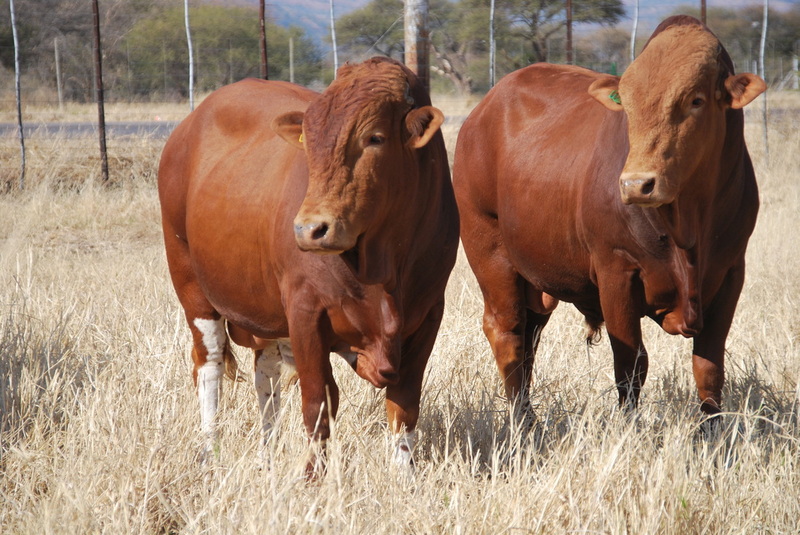 The value of purebred Afrikaner sires in commercial herds, when mated to grade cows of mixed parentage has been repeatedly shown in the good development and excellent prices realised by progeny. The Afrikaner cattle breed is a proudly indigenous breed to Southern Africa. It is a well-researched fact that Afrikaner beef is of the best quality beef when compared to beef from other breeds. With the unique qualities of Afrikaner beef and the awakening of the food revolution at the start of the 21st century led to an increased demand amongst beef connoisseurs. To meet this increased demand in a feasible and sustainable manner, Original Afri Beef was registered as a quality product at the Department of Agriculture, Forestry and Fisheries (“DAFF”). Innovative business principles, and best practice processes were also put in place with leaders in the industry to ensure Afrikaner cattle genetics can be verified and an uncompromised quality product are delivered to the market with full tractability across the entire value chain. The result is a world class quality product delivered with a host of benefits to all stakeholders involved. ​Research shows that Afrikaner beef is of the best quality beef in Southern Africa. Beef from the Afrikaner cattle has a fine grain and comprises of the highest frequency of the dual DNS tenderness gene (RPO, Dr Scholtz) of all the cattle breeds in South Africa. In addition research shows that beef produced from a free-ranging natural diet, as in the case of Afri Beef, in general contains a better balance of vitamin A, omega 3 and 6 fatty acids and conjugated linoleic acid per edible portion compared to grain finished beef (Schonfeldt & Hall, 2015). The production of a high quality beef for the beef connoisseur market by ensuring best practice during each step of the value chain. Management principles to minimise stress and meeting required health standards. Responsible use of veterinary medicines. Prohibit the use of hormonal or steroid growth implants. Prohibit the feeding of animal by-products. Traceability across the value chain. Systematic auditing by an independent party (the South African meat Industry Company) across the entire value chain. Precautionary measures should be undertaken to prevent diseases being imported into a livestock herd in the following cases. Exceptional meat qualities such as a tenderness (duel tenderness gene), fine grain and good marbling. Contains a better balance of vitamin A, omega 3 and 6 fatty acids and conjugated linoleic acid per edible portion compared to grain finished beef. No added growth hormones or stimulants. All cattle are free range. No residual antibiotics in the beef. Peace of mind that Original Afri Beef was produced following best practice across the value chain. ​Original Afri Beef not only provides benefits for the consumer, but also for the producer (farmer). The farmer now has the opportunity to join a structured programme that provides a framework to add value to its product (beef), resulting in a premium and therefor an increased profit in its business. The Afrikaner cattle is a proudly indigenous breed of Southern Africa and has over the last century proven its worth as a breed to be reckoned with in the meat industry. With Original Afri Beef the Afrikaner cattle breed has now also started a new and exciting chapter in its already rich history.